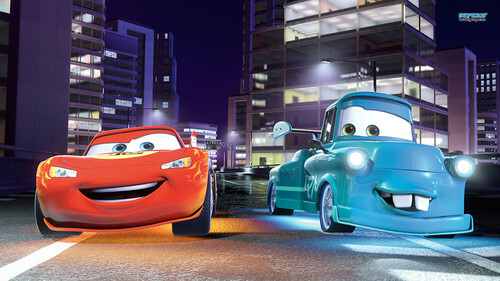 Cars. . HD Wallpaper and background images in the Disney club tagged: photo pixar cars cars 2 lightning mcqueen mater. This Disney wallpaper might contain minicar, مانیکر, پالکی, سلون, سیڈان, سٹریٹ, شہر منظر, شہری ماحول, گلی, شہر ديکھا, and شہری سیٹنگ.